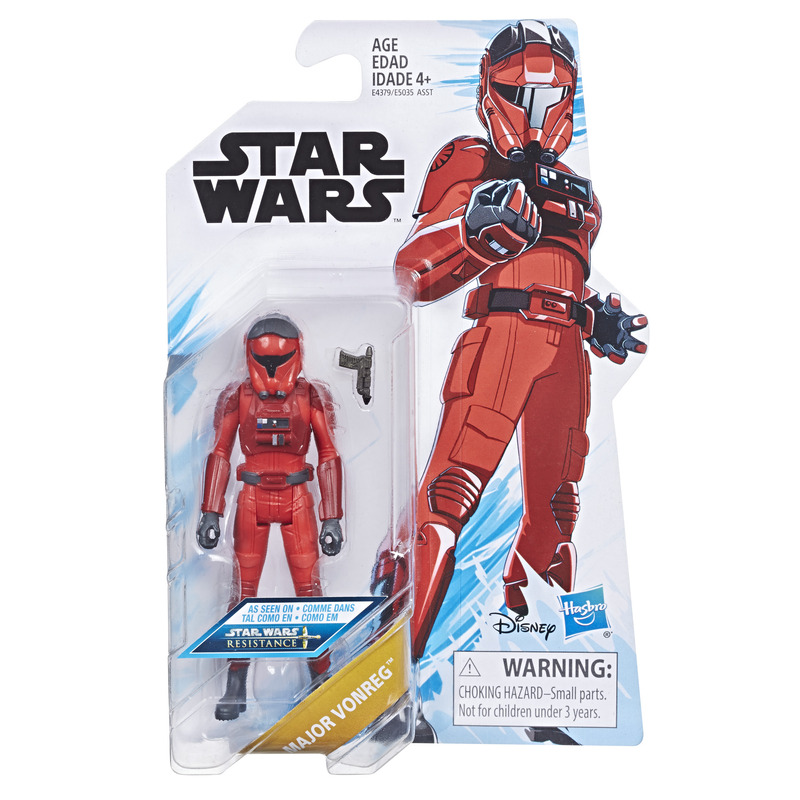 New Star Wars Resistance Major Vonreg Figure now available! 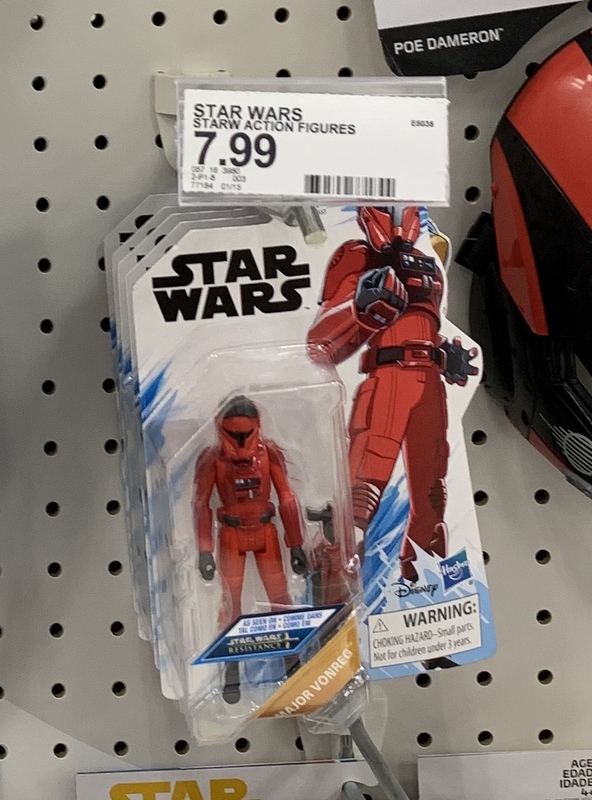 On a recent Target run, I saw some brand new action figures of characters from the TV series Star Wars Resistance! One of the figures I saw was Major Vonreg the new elite First Order Tie Fighter pilot! At Target this figure costs $8, while on Walmart this figure costs $14 plus $6 for shipping. As of this writing there’s only one of these figures left in stock so order soon. 3.75-INCH SCALE MAJOR VONREG FIGURE : The last thing intruders of First Order territory want to see is Major Vonreg\’s distinctive, custom crimson TIE fighter soaring into the action. Imagine the merciless TIE fighter pilot taking out intruders with this 3.75-inch scale Major Vonreg figure, inspired by the new Star Wars animated series, Star Wars: Resistance! STAR WARS: RESISTANCE-INSPIRED FIGURE : Fans can recreate and imagine the daring adventures of the Star Wars galaxy with this Star Wars: Resistance Major Vonreg figure and a character-inspired accessory, based on the character from the Star Wars: Resistance animated series. IMAGINE THE ADVENTURES : Imagine scenes from Star Wars: Resistance with this 3.75-inch-scale Major Vonreg figure! Featuring daring pilots and fan-favorite characters such as Poe Dameron and Captain Phasma, Star Wars: Resistance is an animated prequel to the events of the Star Wars: The Force Awakens movie. 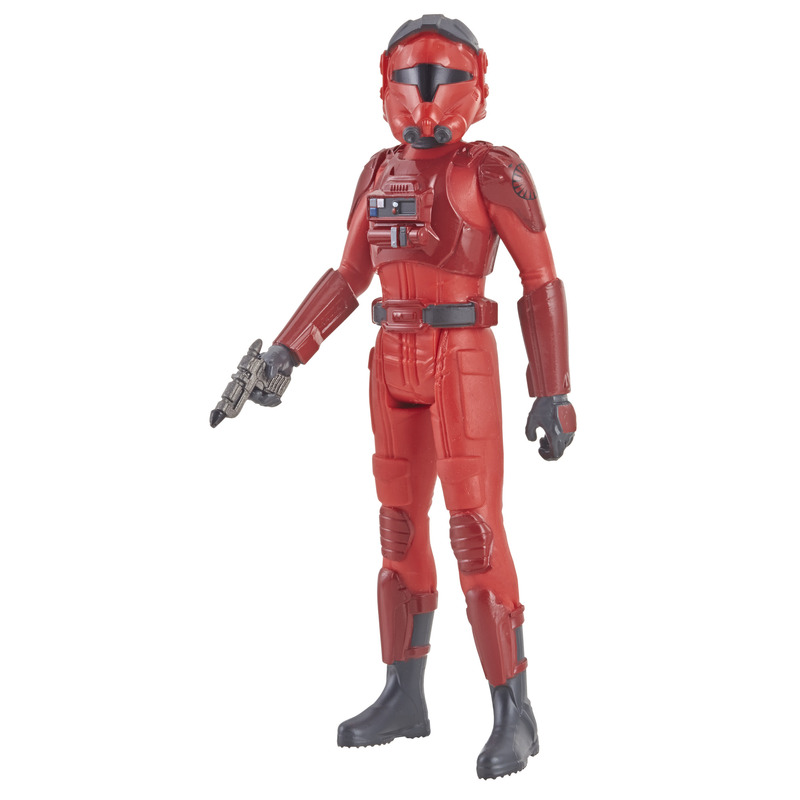 ARTICULATION AND DETAILING : Figure features 5 points of articulation so fans can display this Major Vonreg figure in their action figure collection to imagine an action-packed scene from a galaxy far, far away. 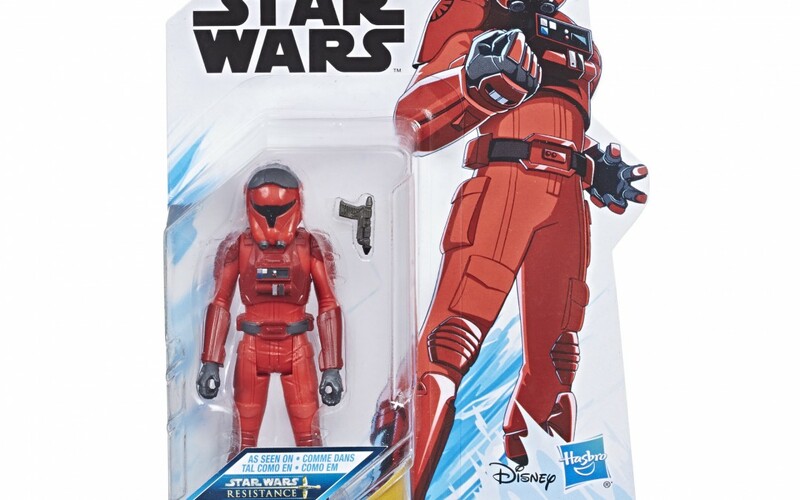 LOOK FOR OTHER STAR WARS: RESISTANCE PRODUCTS : Each figure in the collection is uniquely styled and decorated and comes with an iconic accessory. Other characters in the Star Wars: Resistance collection include Poe Dameron, BB-8, Stormtroopers, droids, and more!